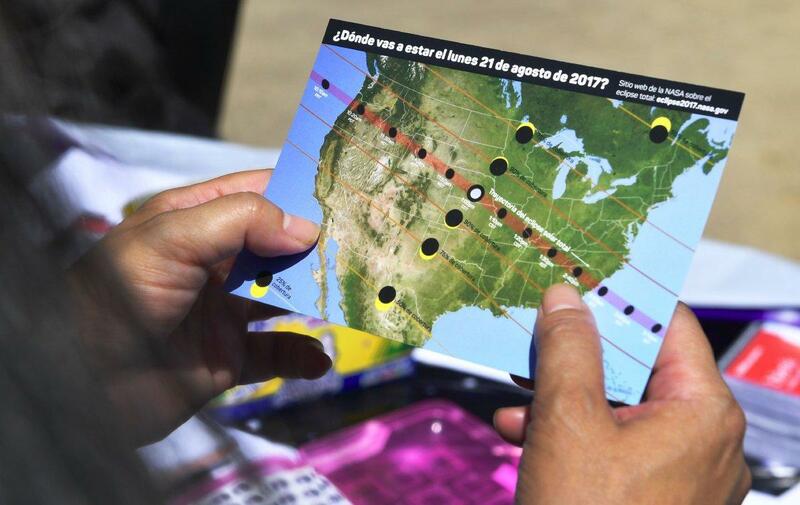 Don’t look now — the city’s skies are being taken over Monday by a rare solar eclipse. As New Yorkers awaited the celestial wonder, experts were warning not to gaze at the sun with unprotected eyes or risk serious vision damage. The eclipse, where the moon covers the sun, is set to start at 1:23 p.m. and last until 4 p.m., peaking at 2:44 p.m., when the biggest swath of the sun will be covered. 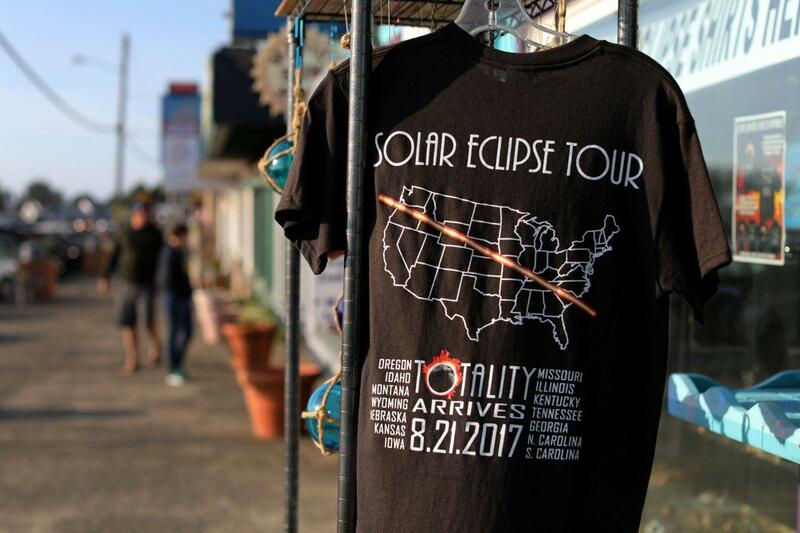 New York is not in the path stretching across the country that will see a total eclipse — from Oregon to South Carolina, the first coast-to-coast total eclipse in 99 years. 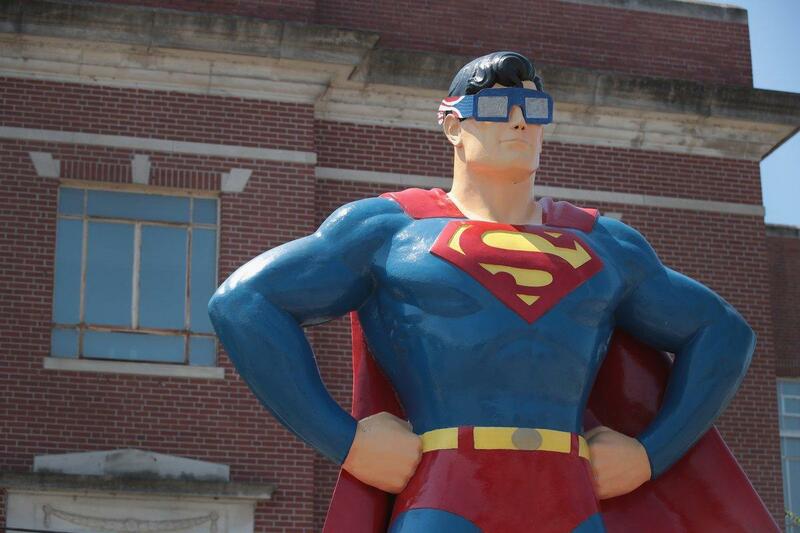 But 71% of the sun will be obscured in the city. “It’s too tempting, because it’s such a beautiful, awesome sight nature is offering us,” Dr. Dean Evan Hart, an optometrist, said Sunday at a press conference outside the city Health Department. 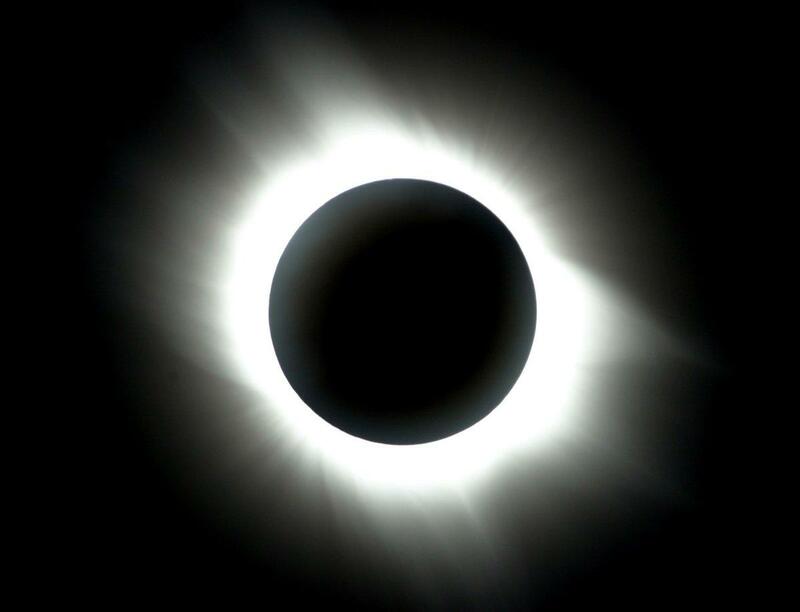 Staring at the sun during an eclipse can cause retina burns and macular degeneration, leading to vision loss that in the worst cases can render someone legally blind. It’s safe to check out the eclipse with special eclipse glasses – but many retailers sold out fast, and some online merchants were hawking the cardboard devices for more than $100 for a five pack. “We know that they’re sold out all over the city and are going to exorbitant amounts on the internet as we speak,” said City Councilman Robert Cornegy (D-Brooklyn) at the Sunday press conference. If you manage to get your hands on some glasses, check for the letters ISO and the number 12312-2 to make sure they’re legit, Hart said. It’s also safe to scope out the eclipse indirectly by fashioning a pinhole camera from a cardboard box. Regular sunglasses don’t offer any protection, and even with glasses the eclipse should not be viewed through binoculars or a telescope. The Hayden Planetarium at the Natural History Museum, the Intrepid Sea, Air & Space Museum, and the New York Hall of Science in Queens are among the spots offering viewing parties, included with the price of museum admission. For those who would rather peer skyward with a drink in hand, rooftop bars like the Haven Rooftop, Lovage Rooftop, and Salvation Taco in Midtown are also holding events.